Nigerian music celebrity, Oladapo Daniel Oyebanjo popularly known as D’banj has recently dropped a late year single titled “focus”. 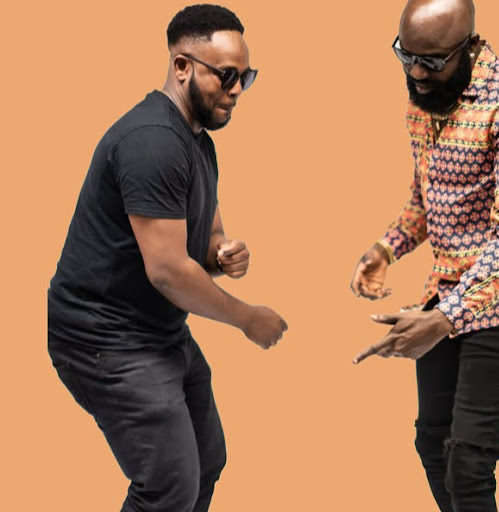 The song is a deep urban centric Afrobeat tune that cruises into dance mode. Obviously the singer is getting his groove back lately with his latest single. Focus in the ear of this article writer, sounds more like his earlier released single ” emergency “. As both songs connote deep African root and a large infusion of afrobeat sound in the tune. If we would be through to ourselves, its high time African music celebrities begin to showcase what they have to the world(for those who are yet to come in terms with the reality), has you cannot be more American than the Americans. A suggestion verified by the singer (D’banj) himself in his latest single, ” focus ” where he made mention about being from Africa to the world. It should be of note that African contents at this point is welcomed anywhere, so far it is well packaged. Much more reason i think the singer has been working very hard lately to get his groove back. Though a single in its like “emergency” released earlier was well applauded, i think “focus” has the tendency to perform much more better than that. If you think the mulit-talented, multiple award winning singer dropped this single for the festive season, am sure you will most definitely be right, but i do hope the song would record a massive success for D’banj, wish him congratulation and keep the flag flying. 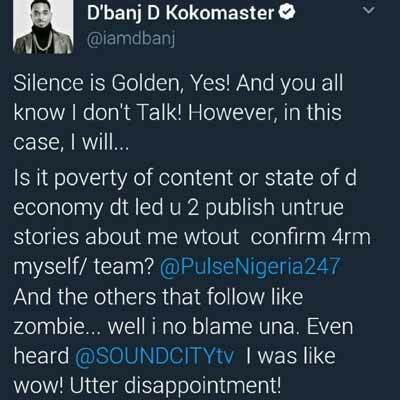 Dbanj also took to social media to express his disappointment on Pulse TV and Soundcity TV on their recent post about the singer/#BEFFTA Entertainment Icon Award.